My Guest Post is up and running on Steph Rogers' blog, She Said What? 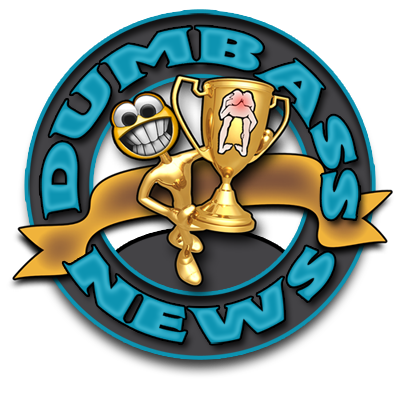 Thanks, Steph for the opportunity to bug the hell out of enlighten your readers with a sample of Dumbass News! My name is Toby and I am a Dumbass. <----There's that A.A. theme again. More precisely, I am the Fearless Leader of the Dumbass Horde. I can hear you now as you think to yourself, "Fearless Leader, huh? (1) That's a pretty lofty title for a Dumbass, ain't it? How does one go about getting a handle like 'Fearless Leader'? (2) Does he have to attend a "Fearless Leader University" or something? (3) Is it an inherited honor? What gives?" Answering your questions in the order in which they were asked: 1) Yes, it is lofty. Only in a Dumbass sort of way. 2) No. 3) I made it up. The Dumbass Horde was already in existence, but there was a Great Void in the Fearless Leader Department, so I took it upon myself to stake claim to the title of Fearless Leader of the Dumbass Horde. Kind of like staking claim to a gold mine, except with Dumbasses. Read the rest at She Said What?